Not sure if this guy is wearing the proper Personal Protection Equipment. 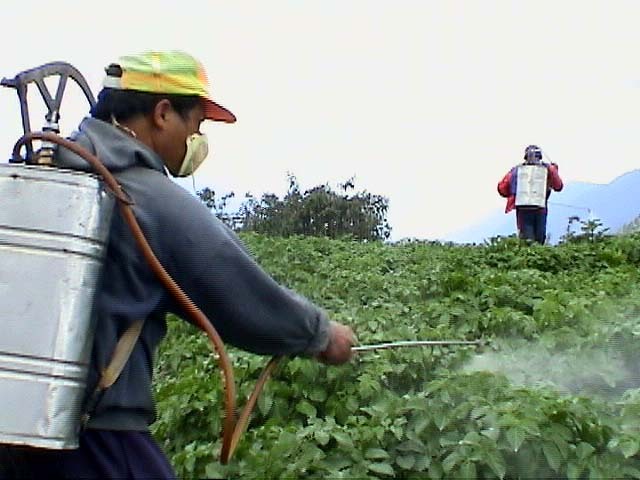 I have handled pesticides all my adult life and wondered if this affects my health and that of genuine handlers like pest control operators. This link clearly answers that question. “The pesticide applicators were consistently and significantly healthier than the general population of Florida.” That makes sense. These men work hard out in the fresh air and sunshine. The surprise is that this is a U.S. Library of Medicine report! Besides, the average nozzle-jockey gets safety training, wears protective gear, and reduces his exposure in every way possible. Guaranteed, none of us has worms. Next Post Fertilizer draws a crowd?